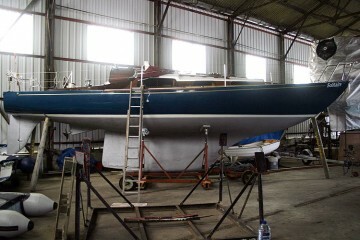 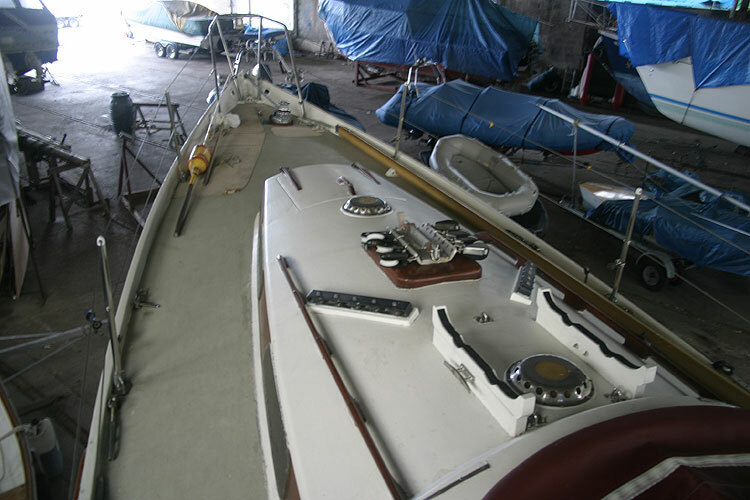 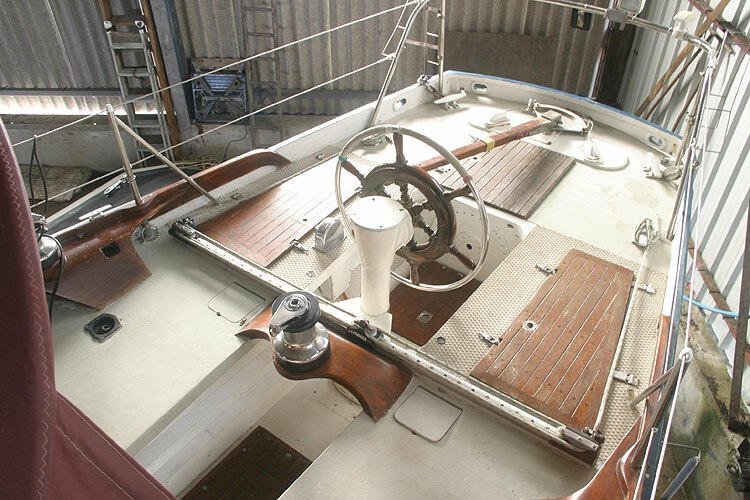 This is an opportunity to buy a unique racing classic combining elegance with strength, seaworthiness and speed. 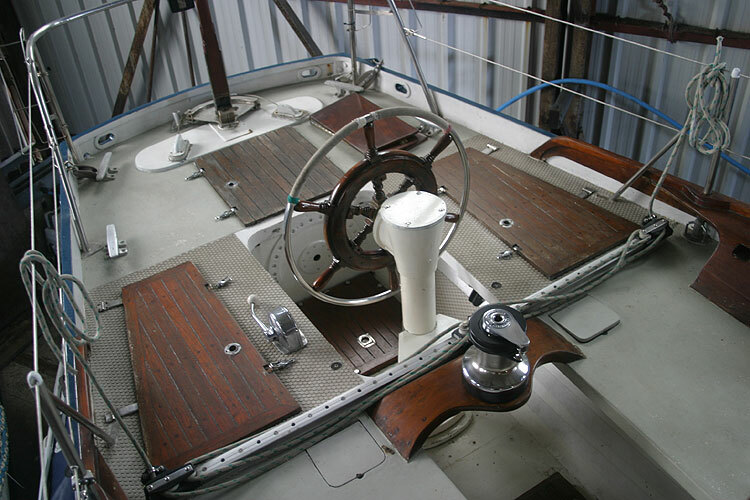 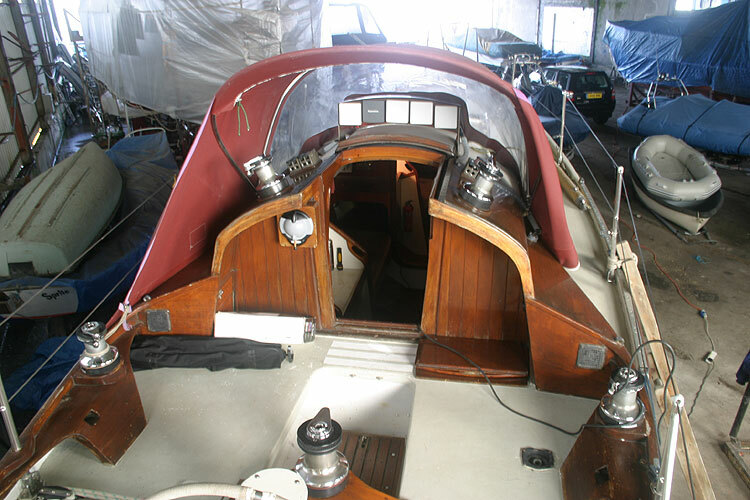 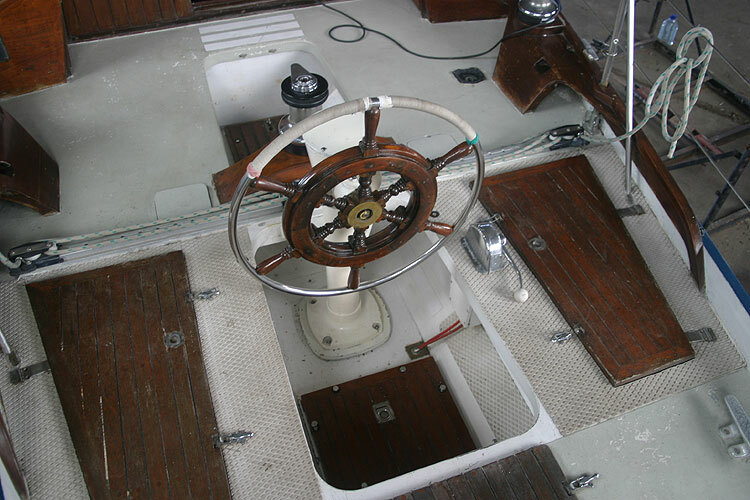 She is a most attractive classic spoon bow, counter stern sloop, a one off design by Richard Roscoe MRINA of Poole for racing and cruising, she has very strong construction of triple skin of cold rolled mahogany type wood on oak frames to a particularly high standard. 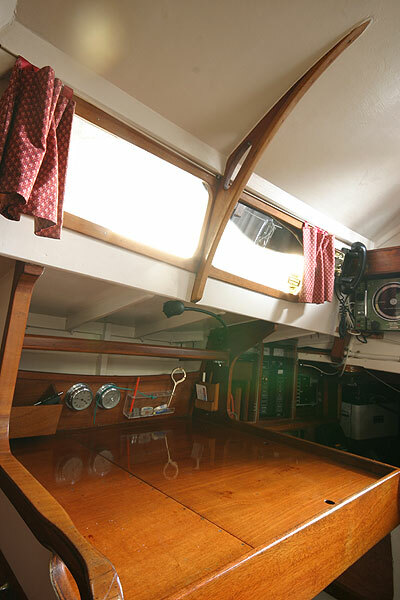 The designer built her for his own use, thus ensuring rigid control over her construction. 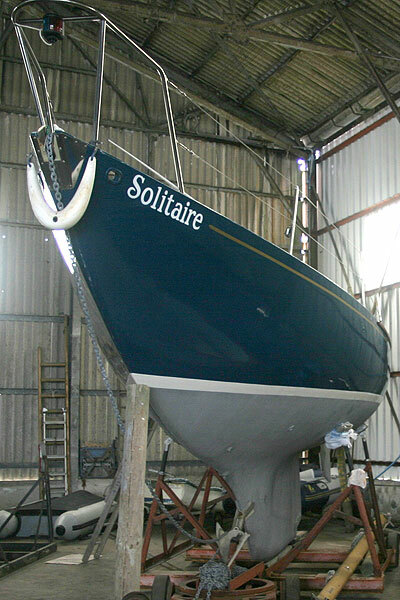 and will appeal to the discerning classic boat enthusiast. 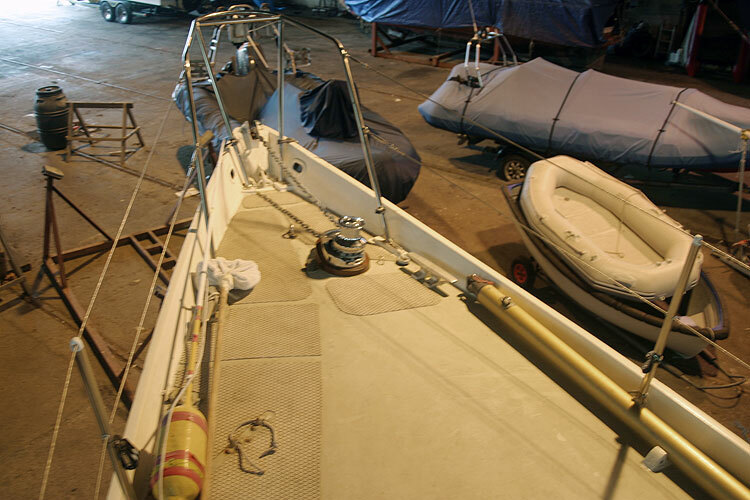 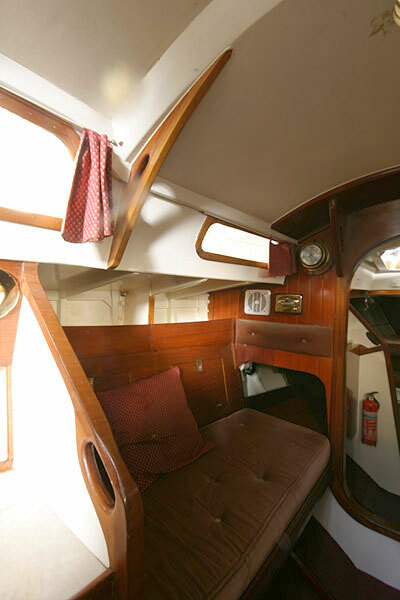 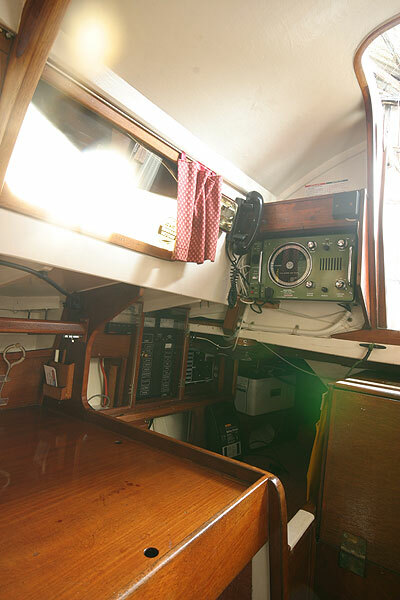 6 berths in open plan accommodation, in the true classic racing tradition. 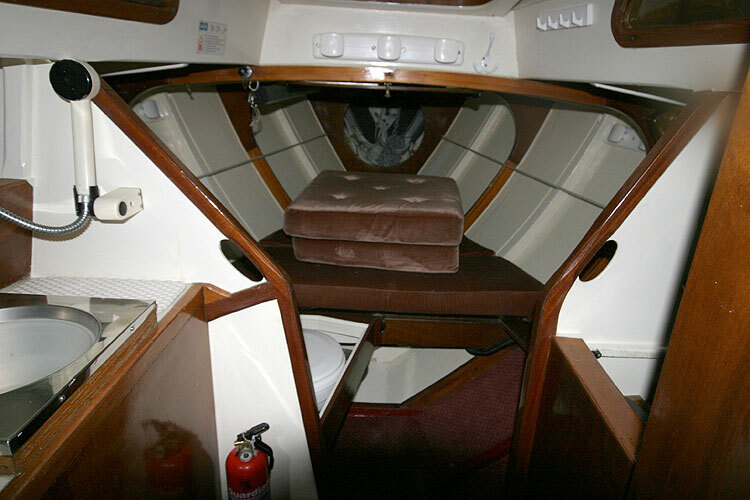 Forward there is a double berth, heads, sink and wet locker. 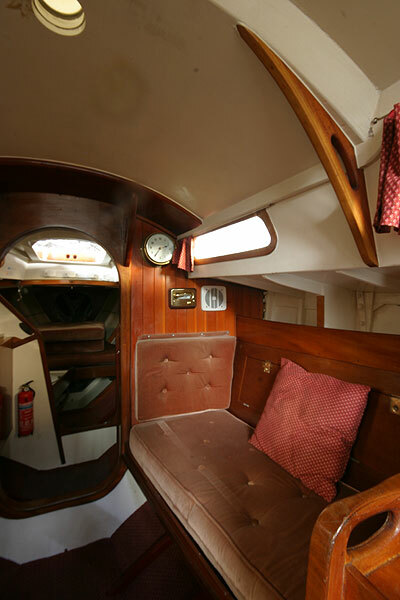 There is a door in between the for cabin and heads and the main saloon. 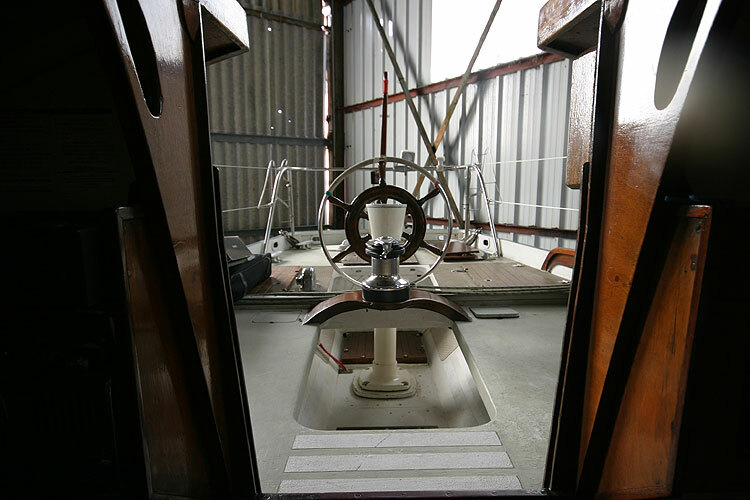 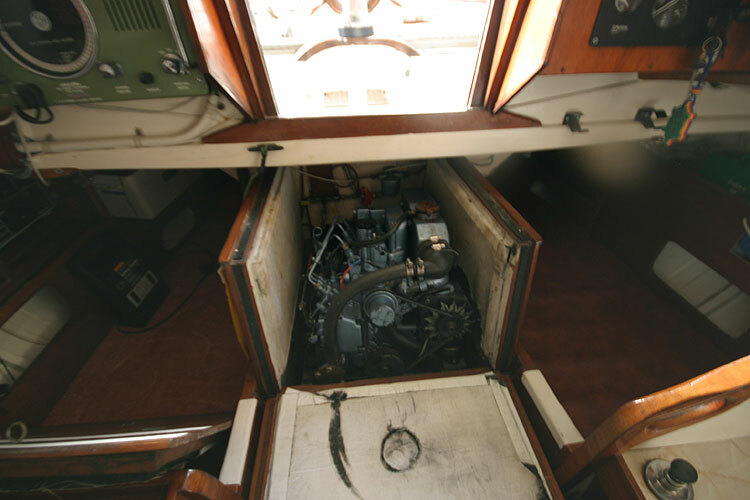 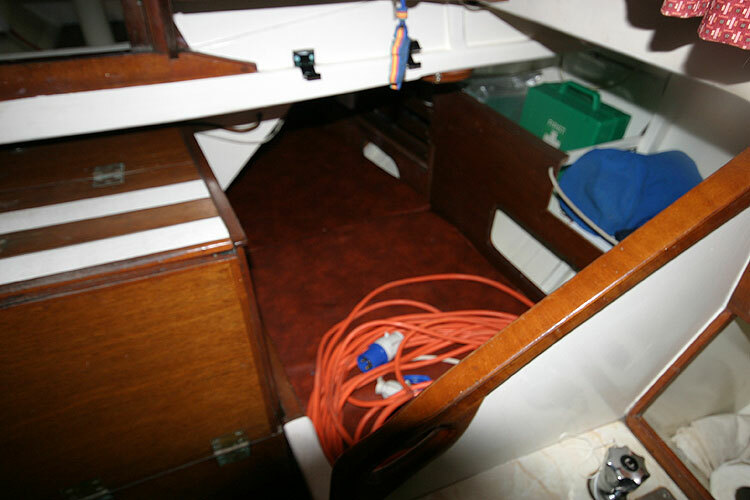 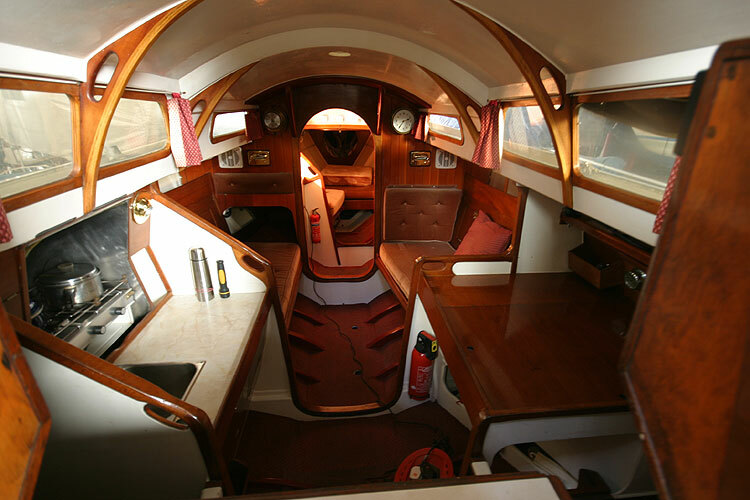 In the main saloon there are two single berths located port and starboard, and two quarter berths located aft. 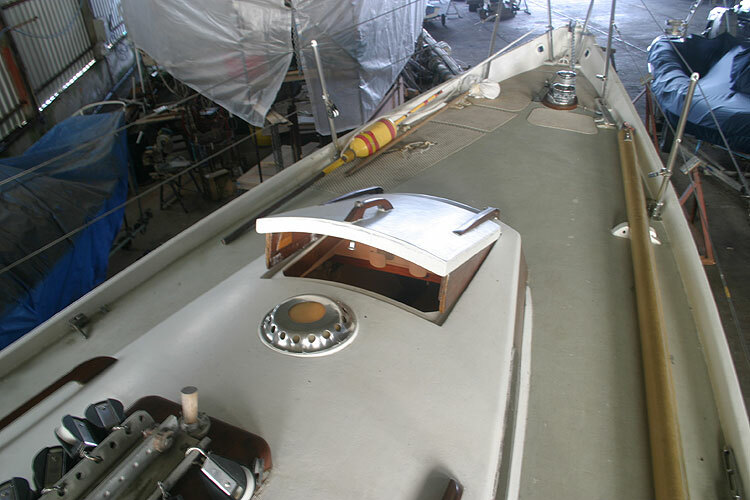 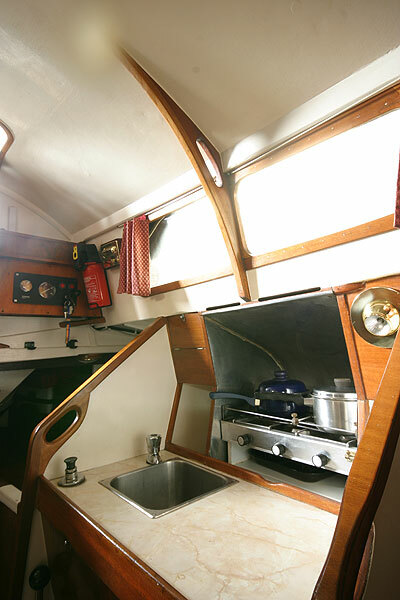 A simple galley equipped with a 2 burner gas cooker with grill, and a stainless steel sink. 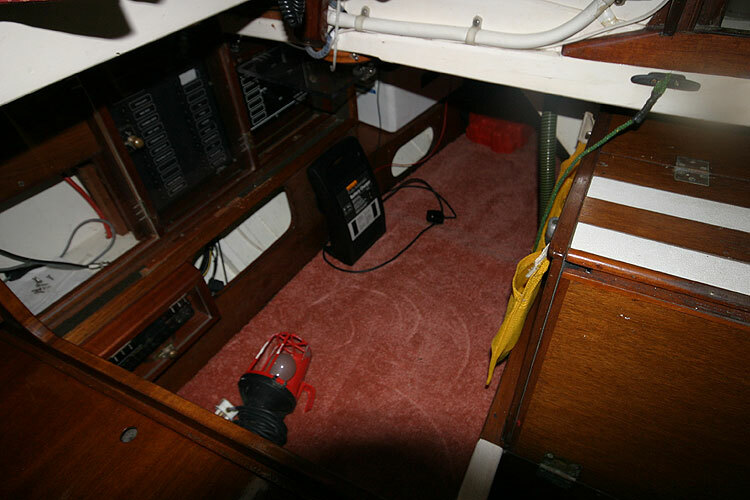 JVC radio, barometer clock Chart clock and barometer. 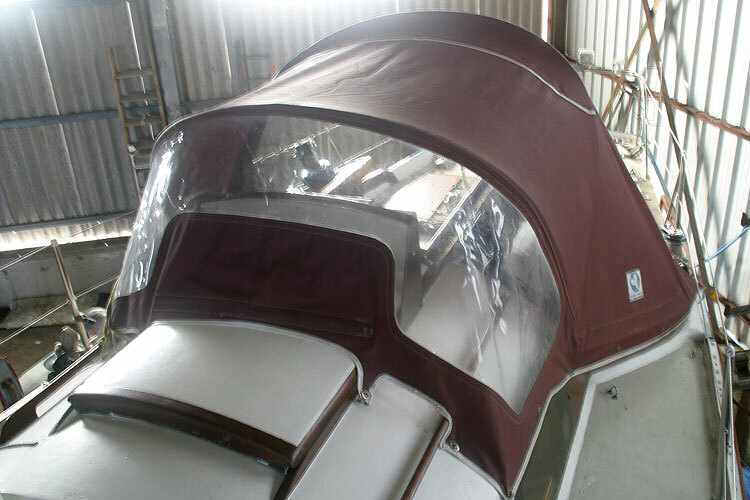 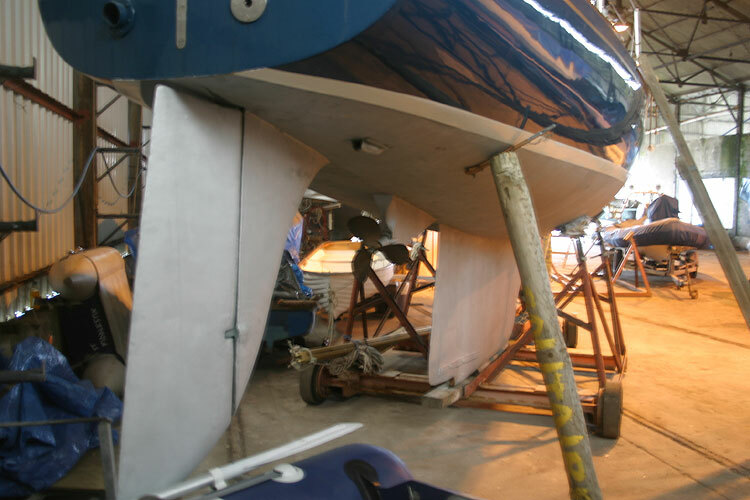 The yacht is stored ashore under cover. 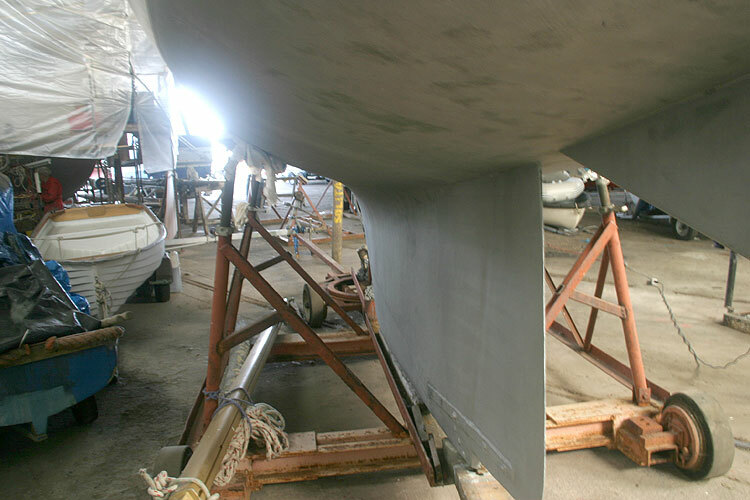 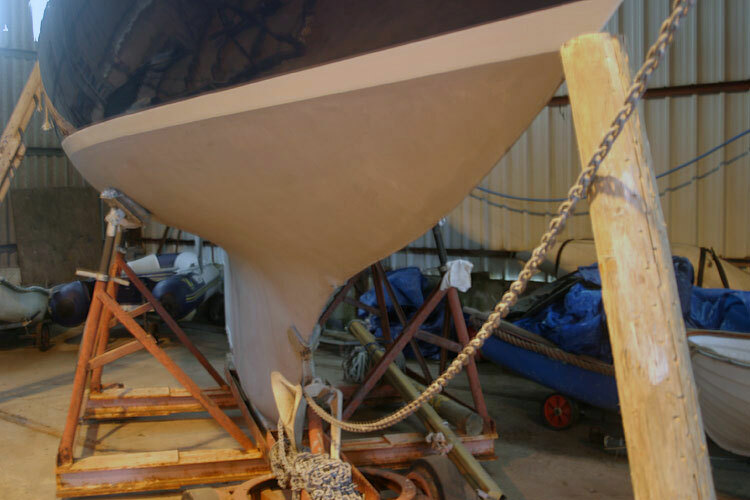 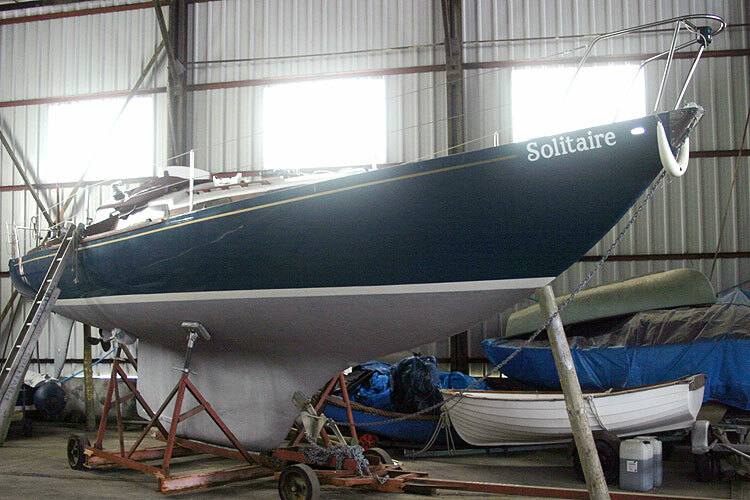 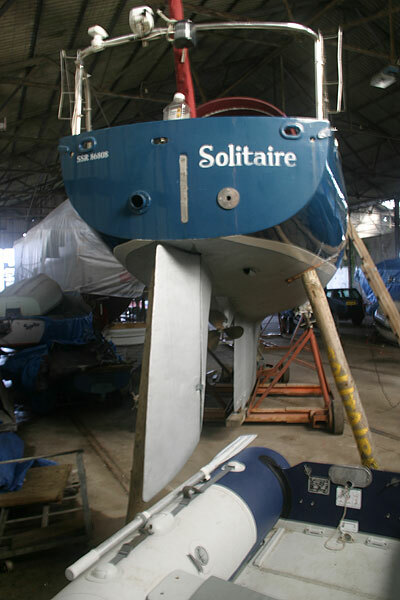 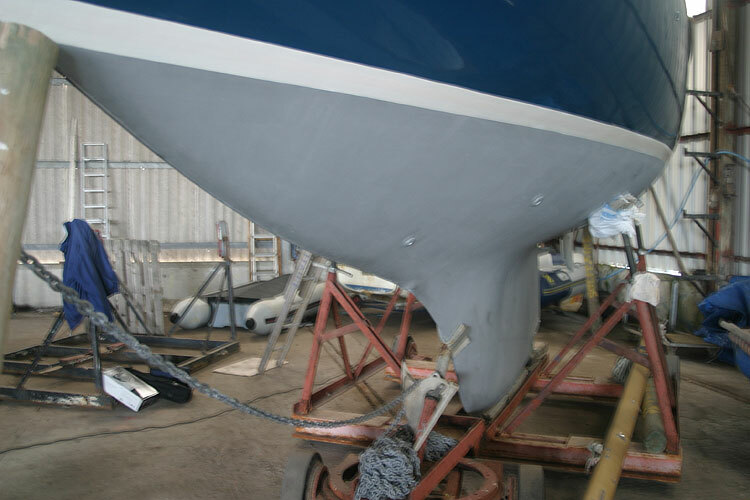 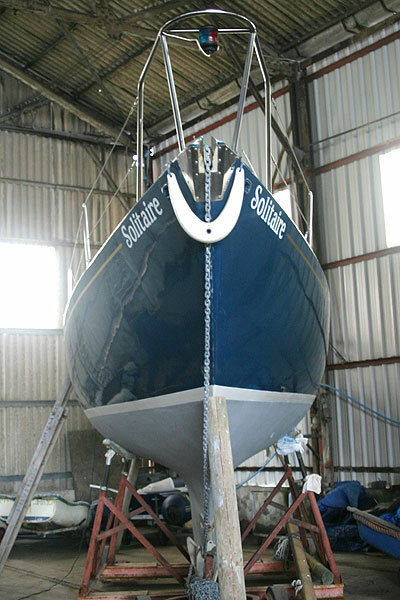 This boat is no longer for sale and remains here solely as an information resource for those researching Classic One off wooden sailing yacht's.